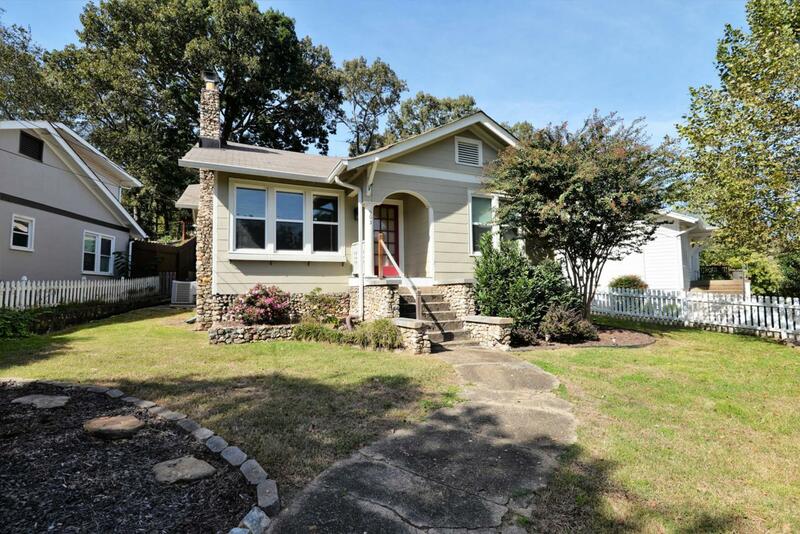 Absolutely adorable, 1920's one-level bungalow with a white picket fence and curb appeal galore and and is just as charming on the inside as it is out. 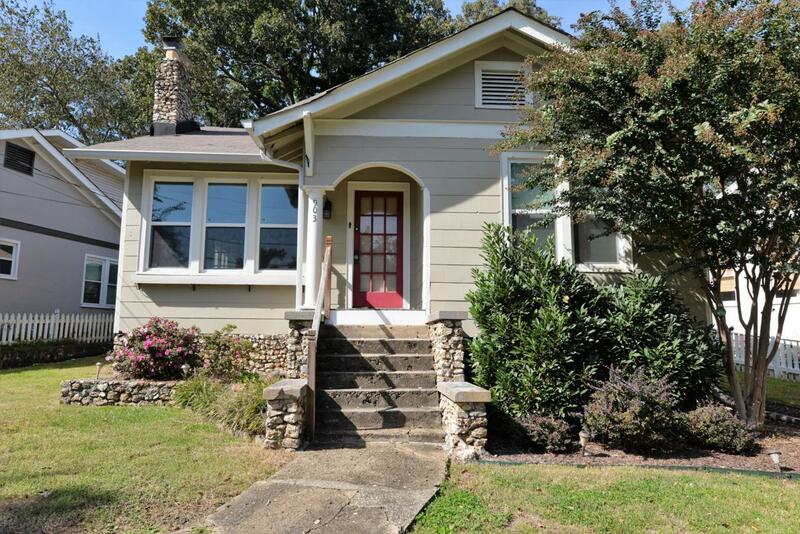 Located in the heart of North Chattanooga within walking distance of parks, schools, shopping and restaurants, this 2 bedroom, 1 bath home would be perfect for someone looking for a primary residence, a weekend place or an investment property. 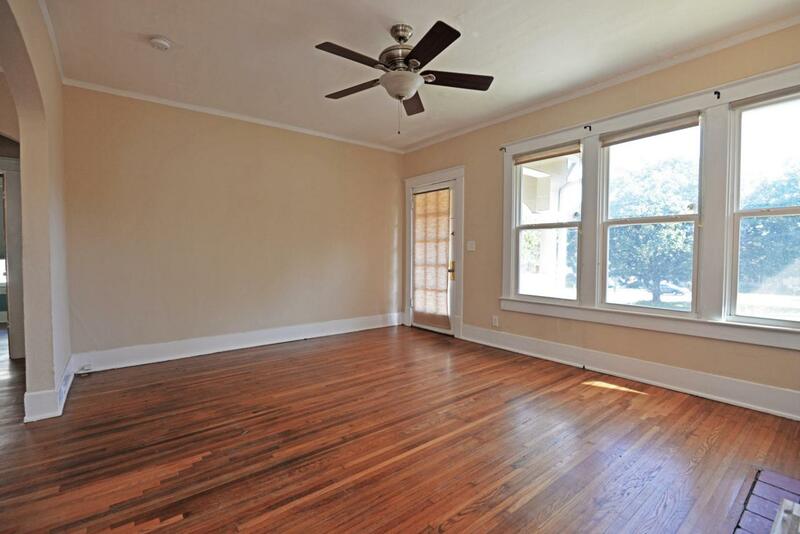 The interior boasts hardwood floors, arched doorways and wonderful natural lighting and has many updates, including roof, windows, wiring, new plumbing to the street and more! 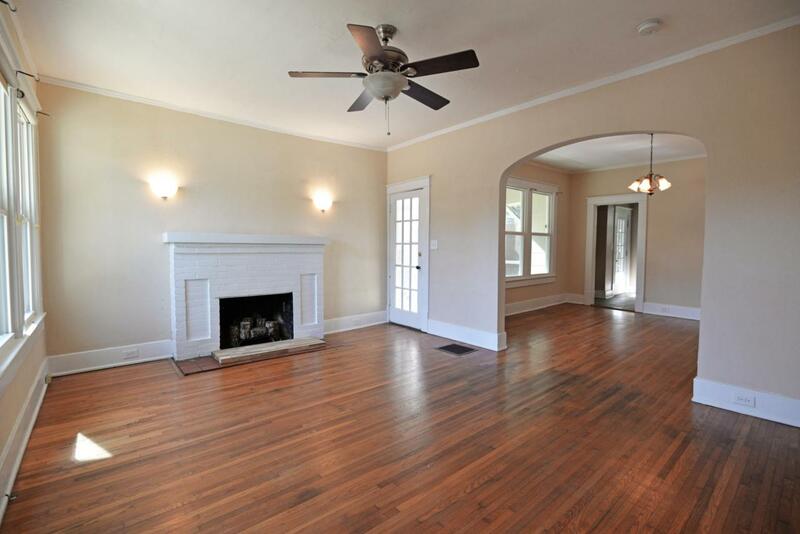 The floor plan features a nice living room with a fireplace, access to the side screened-in porch and a large arched doorway to the formal dining room. The kitchen has tiled backsplash, a double stainless sink, white cabinetryand your "everyday" door to the back deck and parking area. One of the bedrooms has an adjoining room that would be perfect as a dressing room or a small office, and the hall bath has a separate shower and built-in shelving. There is additional storage in the basement cellar. If outdoor entertaining is important to you, then you will love the rear deck, fire pit area and off street parking with portable carport that is accessible from the alley off of Worthington. All of this, and you are just a couple of minutes from downtown Chattanooga and the bustling North Shore and all of the amenities that these areas have to offer. Please call for more information and to schedule your private showing today. Information is deemed reliable but not guaranteed. Buyer to verify any and all information they deem important.